The WOW Team ~ Built upon a reputation of excellence. If you are unfamiliar with this private gated community it is worth a look. Situated on 168 acres of the Chattahoochee River, Ellard residents enjoy uncommon natural beauty with 90 acres of green space, 4 interior parks including Conservatory Park wherethe annual Easter Egg hunt occurs. The unique collection of classic homes, diverse in architectural styles, are inspired by American home types found in the Mid-Atlantic and Southeastern United States between 1750-1930. Yet, modern livability has imprinted its own classic mark in each home with luxurious owners suites, chef kitchens and all the bells and whistles expected in executive estate homes. Luxury Living in Ellard is available. Follow this link to learn more. Conveniently located adjacent to Ellard Village, residents can walk to upscale boutiques, fine dining and work out facilities. Walk to your local Starbucks or enjoy some of the best Sushi around at Sushi Uchi! The historic Chattahoochee River has always shaped the character of this area. Inhabited by the Creek Indians, and then the Cherokee tribe it eventually was settled by Thomas Ellard who purchased some 1284 acres of land including the Holcombe property in 1910. After his death a few years later, his wife Mary Pearl Ellard kept about 400 acres and farmed it with the help of Laurence Garrard. Laurence married Mrs. Ellard’s daughter where they lived until 1992. Time and time again developers called on them to sell their land. My son, Larry played with son Greg on the land discovering arrowheads and searching for civil war treasures. After the death of the Gerrard’s, part of the land became available due to an estate tax situation and Ellard was born. Ellard became a beautiful legacy to the history of the bygone eras affording much park land and tree-lined/lamp lighted sidewalks, porches and verandahs bringing neighbors together with modern conveniences. Discriminating charm includes a caretaker’s cottage reminiscent of entries to estates in England circa 18th century. This gate house ensures 24 hour guarded security. active pastime where coaching and ALTA meet on the 2 lighted tennis courts every week. Walking trails weave through the community and along the Chattahoochee River where fly fishing and canoeing are a weekend delight. Contact Janet Weidmann with the WOW Team to learn about the real estate in Suwanee, Johns Creek, Alpharetta, Roswell and your immediate neighborhood. Reach out to The WOW Team with any questions you may have on Living Atlanta Luxury. Link here to find out more – Live Atlanta Luxury in Ellard. How does a home sell before it officially goes on the market? Here in Alpharetta Ga. where the schools are great, the pastoral settings enticing and the homes above average we create BUZZ prior to the listing. After the WOW Team secures a signed listing agreement we go in and have a home “staged” prior to officially listing it. First impressions are so important! But, while we are preparing the property for sale we allow the word to ‘get out’ on the street…. and this creates momentum. When a home is priced “right” meaning it is the house to beat out the competition it often creates an auction affect. Even more, when a home is priced right and not on the market yet, prospective buyers want a first crack at it. 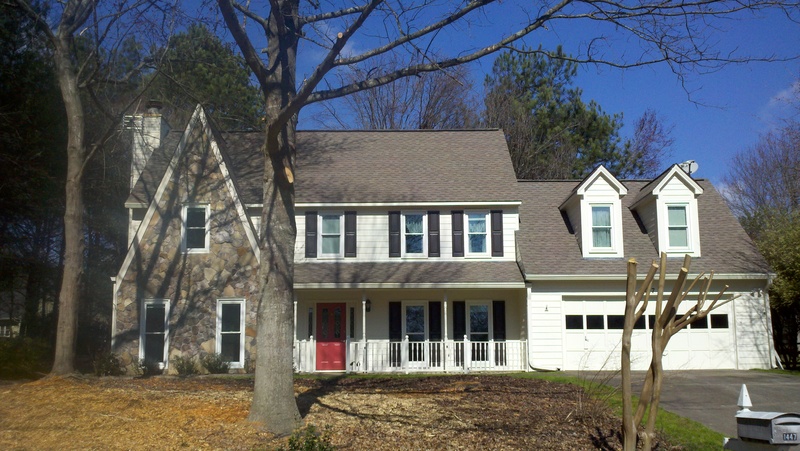 This home pictured,(photos taken with my cell phone) on a gorgeous lot walking distance to downtown Alpharetta just needed some “framework” to draw people in. 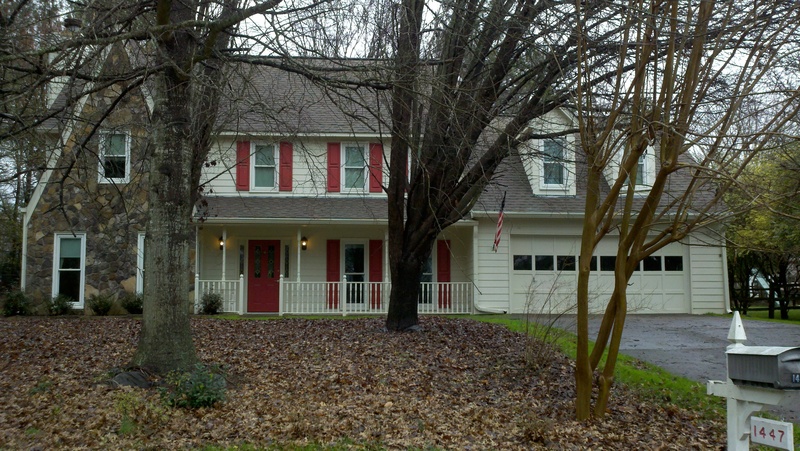 For less than $500.00 we were able to prune up the trees and cut down a couple of trees that detracted from this home. Trees should not hide a home but ‘frame a home’. Painting the shutters a more universally accepted color (a rich deep bronze) made a huge difference in curb appeal as well. What do you think? See the before and after photos and you be the judge. With a little paint, pruning, and positioning in todays market you too can sell in record time! The WOW Team average days on market for homes under 1mill in 2011 was 45 days. “Small Business Saturday?” ~ Saturday After Thanksgiving!